This program was initiated in 2014 with the support of ladies from Feminenza North America and the leadership of Eileen McGowan, an FNA Board member. The overall goal of the program was to establish a group of young women leaders, from PHS (Peekskill High School), that would become positive contagion agents who are actively assisting with specific needs within the Peekskill community and schools. In addition to these young women getting to know themselves better, with respect to their gender, age and what it means to become a more responsible, ‘positive contagion’ into their communities, they also worked on developing their leadership skills. One of their first taskings was to interview leaders within the Peekskill community (such as the Mayor of Peekskill) in order to assess community needs and to also broaden their scope and knowledge. From there, they were asked to create and develop a community service project, out from their own passion and initiative, that would serve a need within the community. And they are now doing it! One project was implemented by Kayla Godbee and Adasa Bennett. 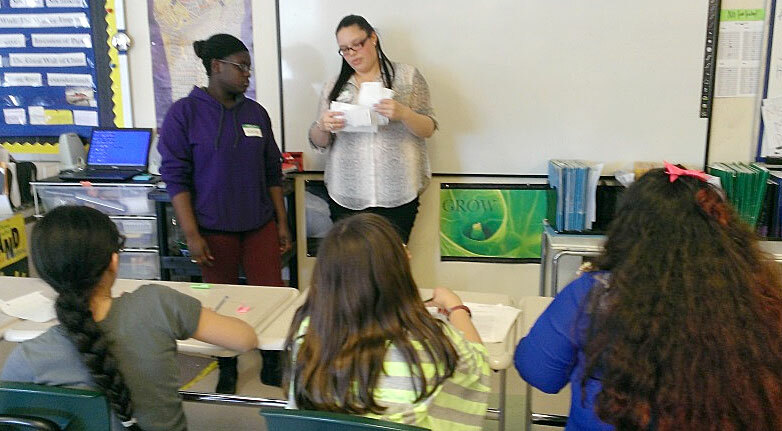 They began to work with 8 to 10 6th grade girls in the Middle School about how to handle conflict. They held meetings with these girls on a weekly basis and discovered, with an open attitude, how to navigate and find their way into this vast territory that is not an easy one to tackle. Adasa and Kayla repeatedly demonstrated their compassion and understanding for some of the challenges that young girls face in today’s world and who therefore welcome the mentoring of their ‘older sisters’. One of the aims was to explore more of what it takes to become a ‘positive contagion’ to those around you, with qualities like courage, hope, kindness, and understanding. Another exciting project: Symphony Boyd-Roberts, who has a passion for volleyball, recognized that she could combine her passion with helping to provide a healthy outlet for younger girls in the community, so she is now leading a new volleyball program at Hillcrest Elementary with 28 5th grade girls! Yes, 28! It is one thing to talk about leadership, but it’s a whole new ball game (no pun intended…) to get out there and do it! It takes courage, persistence, grit, and not minding the inherent challenges that come with the leadership of others. When we are in a position of leading others, we are naturally faced with real needs in our own development and Symphony continually embraces the development of skills and qualities needed for her next steps. Another project had to do with starting a recycling program at the high school. Jhanelle is passionate about the environment and cares deeply about the future of the planet and future generations that will be living on this planet. 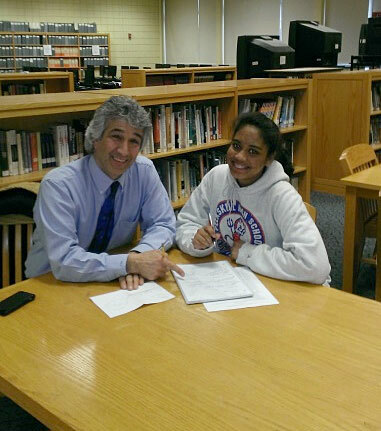 In addition to her own research, Jhanelle met with the Department of Works in the city of Peekskill as well as Mr. Guglielmo, who is in charge of the Department of Works here in PCSD, to coordinate efforts towards making this happen. It has been amazing to see the rise of charisma with each young woman who has applied herself to a project, which is really one thing we were hoping to see as a result of this program. Thank you to Maxine O’Connor, Fred Hutchinson, Margie Daniels, Dr. Fine and Mary Noble (CEO of Feminenza) for their support and encouragement to help make this program happen. With much encouragement towards these ladies in their continued success! Feminenza International is a Charitable Incorporated Organisation, and is registered with the Charity Commission in the UK, No.1170535.